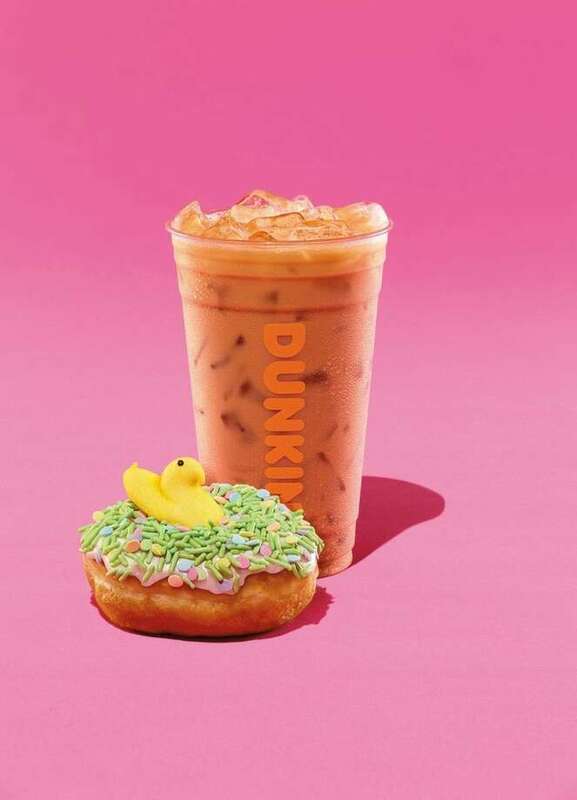 Dunkin' restaurants are adding marshmallow Peeps to coffee and doughnuts this Easter season. Peeps marshmallow flavored coffee and espresso drinks and the Peeps doughnut will be on the menu beginning April 1. The doughnut will be topped with white icing, a green and egg-shaped sprinkle blend and a mini marshmallow Peep. Also new in April are Chocolate Cherry Cold Brew, Sweet Sriracha Bacon Breakfast Sandwich, Iced Tea Lemonade and Frozen Lemonade. All will be offered at participating Dunkin' restaurants nationwide for a limited time and while supplies last. 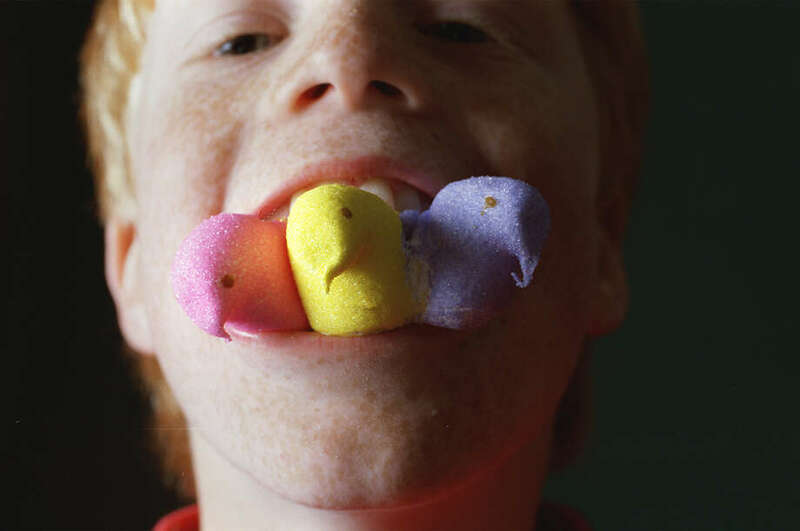 Ingredients for Peeps are pretty simple. Granulated sugar, liquid sugar, corn syrup, gelatin and vanilla.